Struggling to find info about your 'intention to marry' appointment with the HSE? This is what will happen! Working in a wedding magazine while wedding planning has its benefits - with a team of experts on hand to answer any and all wedding planning questions you might have, it's probably a little less stressful than for the average couple, for one thing. 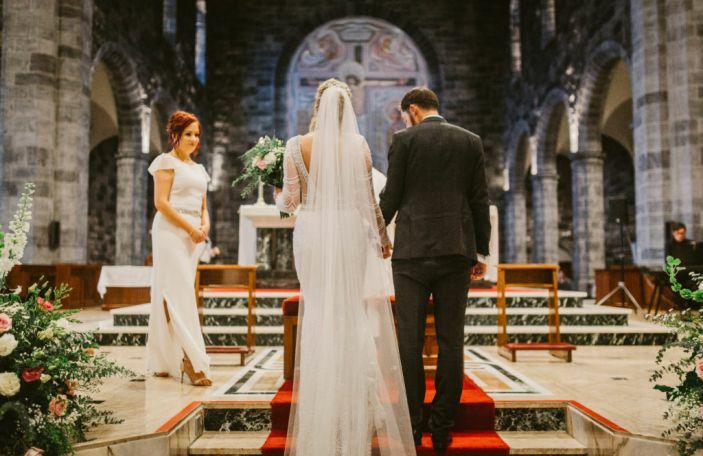 One of the areas that many couples tell us they find super confusing are the legal requirements for getting married in Ireland, and as part of that, what happens at the 'intention to marry' appointment. 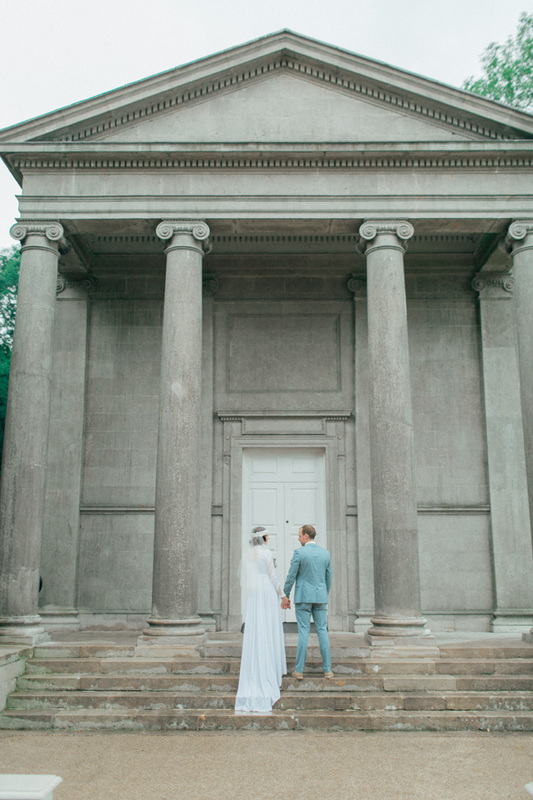 We have a full guide to all the legal requirements, but for those not yet up to speed, basically in order to get married in Ireland, you have to notify the HSE of your intention to marry three months in advance of your actual wedding. This applies whether you're getting married in a church, at your venue or in the registry office. 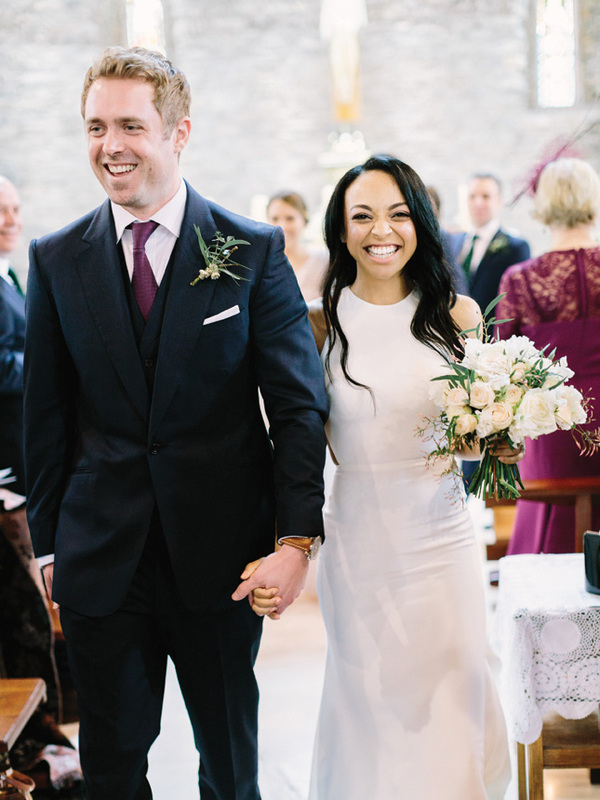 There is often a long waiting list, so it's recommended you get in touch with your local registry office four to six months in advance to make sure you can get an appointment in time - there's no such thing as too early! My fiancé is American, which means there's a few extra steps for us to satisfy, so we erred on the side of caution and booked our appointment seven months in advance of our wedding this August - our thinking was that we were booking in a super busy office in the Dublin city office, and if we had to go back and get different paperwork, we'd need some time to get it organised and get another intention to marry appointment to meet the three months in advance deadline. Plus, we just like to be on top of things - I'm a list-making kinda gal! 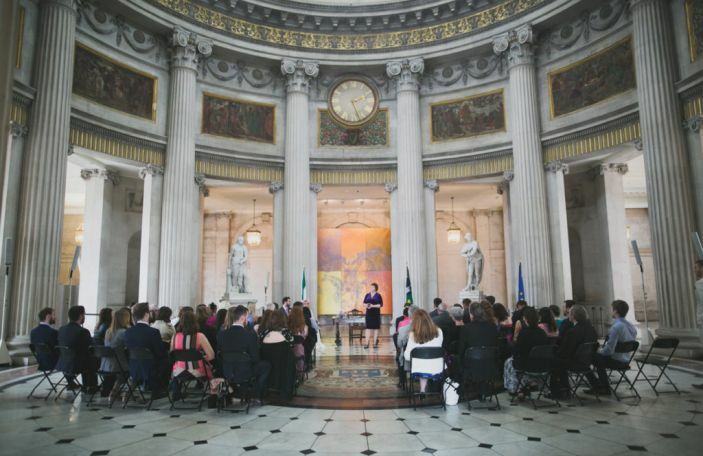 What documents do we need for our intention to marry appointment in Ireland? In advance of the intention to marry appointment, you need to gather various pieces of paperwork. 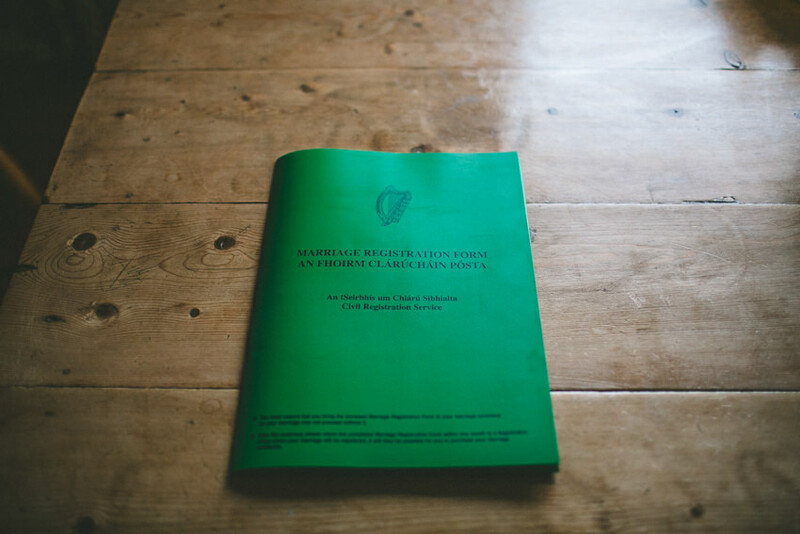 If you're both Irish and this is your first marriage, none of it is too taxing to source - you need your passports and colour photocopies of them, your original (or certified) birth certificates (and copies), proof of address (and copies - do you see a pattern? ), and you need to know your PPS numbers. If you've been married before, you'll also need your divorce decree or a death certificate of your previous spouse. If your fiancé isn't Irish, they will need to have their original birth certificate with an apostille stamp on it from a relevant embassy. We ran into an issue here where the American embassy won't issue an apostille stamp for the purpose of getting married, but luckily we were visiting his family in the US over Christmas and were able to get it sorted there. It's probably best to check early if your embassy does it, because that's the exact kind of complication we were allowing time for. He also needed documentary evidence of his immigration status (Visa paperwork, or in my fiancé's case, his residence/GNIB card was satisfactory), and a letter of freedom to marry from his home country, basically saying he has never been married before or isn't still married at home. Again, we ran into a problem here where the United States doesn't keep a centralised registry of marriages so couldn't provide this, and the next best alternative for this purpose was a sworn affidavit at the American Embassy attesting to the fact he has never been married. We double checked by calling up the office beforehand to see if this would be acceptable, and they said it would, which was a relief because we'd run out of options otherwise! All our documents were in English, but if yours are not, you'll need a certified English translation from an independent verifiable translation company, too. You'll be sent an email when you book your appointment with all the requirements, and if you're not (we weren't but the woman who booked us in had warned us the system was tricky), just call up your relevant office and they'll resend - I got the impression it happens a lot! So, what happened at our intention to marry appointment? It was all super straightforward, and nothing to worry about if you have all your paperwork in order! Our appointment was in the Births, Deaths and Marriages Office on Lombard Street in Dublin. We sat down, confirmed all our details, and the woman dealing with our case then double checked all my fiancé's paperwork from the United States. Because of his specific visa type, she told us we wouldn't have to do the couples interview, which normally takes place at a separate appointment and is essentially to determine that your marriage isn't just for the purpose of obtaining a visa. Another couple also in the office at the time were clearly doing their interview, and they were each sent out of the room separately and questioned on things like how they met, where they had their first date, what they like to do together, their families' names, their jobs etc - all details you'd honestly very likely just know about each other without thinking too much. It didn't sound like there were any major curveballs - it was basically a very important game of Mr and Mrs! She then ran through our wedding details - date, time, our solemniser, planned witnesses (you need their dates of birth on hand, FYI!) etc and then while she went off to organise our wedding license, she had us read through and sign a declaration that there were no known impediments to our marriage. It confirms you're not related, you're of age, you're entering into the marriage of your own free will, and it's not a 'sham marriage' in order to obtain better immigration status. She double checked all the details listed on the marriage license and then went through with us what would happen on the day. 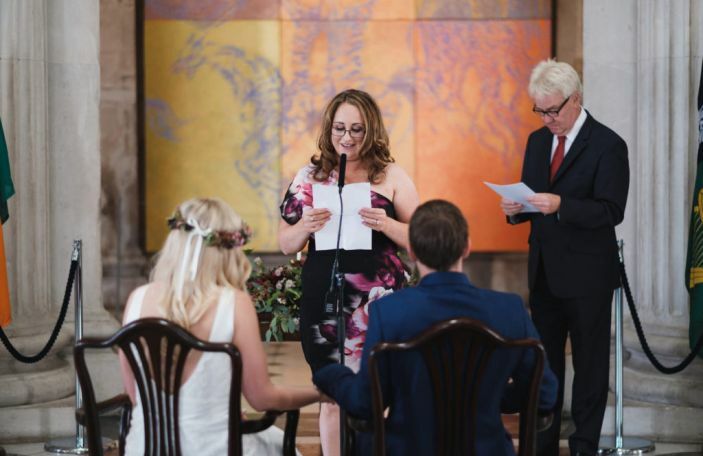 Basically everything can be changed on the day - you can swap out your solemniser and your witnesses if necessary when the time comes, so there's no need to panic if you have to change your celebrant after you've had your intention to marry appointment. 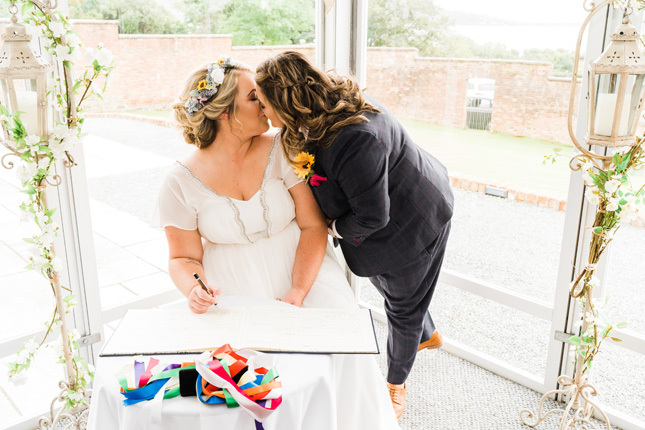 As we're having our civil ceremony in the registry office in advance of our wedding, she talked us through the famous green folder most couples take home with them, but ours will be in the registry office on the day. 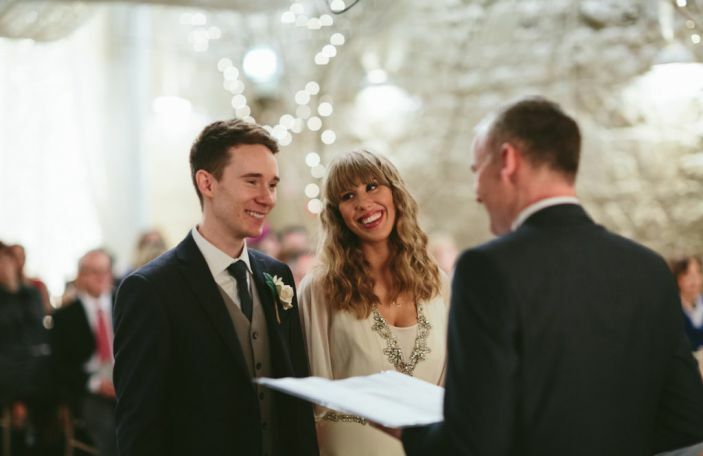 If you're taking yours home to bring to your venue, you'll likely be given heavily emphasised instructions not to forget it on the day - you need it to get legally married! We paid the €200 notification fee - you can pay by card or cash - and she sent us away with a package containing the legal requirements for our civil ceremony - i.e. where we can add music and readings, the legal wedding vows you have to use, the order of ceremony, etc, and it was as simple as that. As long as you have everything in order and with you on the day, it's a relatively straightforward process, and nothing to panic about. Just make sure you book in plenty of time, and gather all the documents you need, and you'll fly it! Not sure what you want? Start here! Non-religious ceremony sound like your bag? Here's the way to do it!